Residents in other parts of the North-East will continue to benefit from HDB’s recently revised upgrading schemes like the Home Improvement Programme and Neighbourhood Renewal Programme. Ang Mo Kio was recently rejuvenated with the completion of the Ang Mo Kio Hub, an integrated commercial building, which offers residents retail and F&B outlets with an air-conditioned bus interchange. More such developments are planned in the region. East regions. Access to a wider range of amenities and jobs will be enhanced. The completion of the 12km Kallang-Paya Lebar Expressway (KPE) stretching from the ECP in the south to the TPE in the North- East (including about 9km of tunnel) will provide a faster alternative route between the city and Punggol, Sengkang and Hougang. It is expected to lighten the load on the CTE, and travelling time to the city will be cut by 25 percent. In future, the 21km North-South Expressway (NSE) will also provide additional capacity to serve the North-South corridor, further lightening the load on the CTE. More commercial developments are planned in the mature towns of Serangoon and Hougang, bringing jobs closer to home for residents. In Serangoon, a White site has been sold as part of the Serangoon Sub-Regional Centre. In Hougang, there are plans for a new shopping centre integrated with a bus interchange. There will also be a wide diversity of industries: aerospace, electronics, wafer fabrication, logistics, food, and other general industries. Ang Mo Kio Industrial Parks 2 and 3 house many companies (such as Apple and SeaGate) offering job opportunities for residents of Ang Mo Kio and Serangoon. This means that there will be more land for business uses at these industrial parks, creating even more business opportunities, career options & jobs closer to homes. With the opening up of new industrial areas in Sengkang West, Seletar and Lorong Halus, combined with the expansion of existing industrial areas in Ang Mo Kio and Serangoon, employment will be more evenly distributed across the region. Jobs in Sengkang will come from the wafer fabrication industry. A large part of Sengkang West will be developed for this, in tandem with housing developments in the area. This will bring jobs closer to home for residents living in Sengkang, Serangoon and Ang Mo Kio. The Paya Lebar Industrial Park (PLiP) is a 15ha industrial estate with a new concept to establish a vibrant enterprise ecosystem. The PLiP will house leading enterprises in print-media, life style, consumer products, food and R&D, and will be easily accessible via the Tai Seng Station along the Circle Line. To allow even greater flexibility in land use, part of the PLiP has been zoned Business-White. Developments within this zone will be allowed additional GPR for White uses after meeting the minimum GPR for Business 2 uses. You can look forward to working in a unique environment here, with generous greenery, open spaces, and even a pedestrian promenade along the water’s edge fronting PLiP. The aerospace industry in Singapore has seen strong growth in the last 15 years. To capitalise on this, the Seletar Aerospace Park will provide additional space for the industry, attracting investments of more than $3 billion with the expansion of existing companies like ST Aerospace and the entry of major players like Rolls Royce, and Pratt and Whitney. These companies are expected to generate some 10,000 jobs and complement existing aerospace activities at Changi North, Loyang and other parts of the island. Occupying 300ha together with Seletar Airport, the Seletar Aerospace Park will be established as a Maintenance, Repair and Overhaul (MRO) hub. It will also house other aerospace activities ranging from the design and manufacturing of aerospace systems and components, to training for pilots and other aviation professionals. 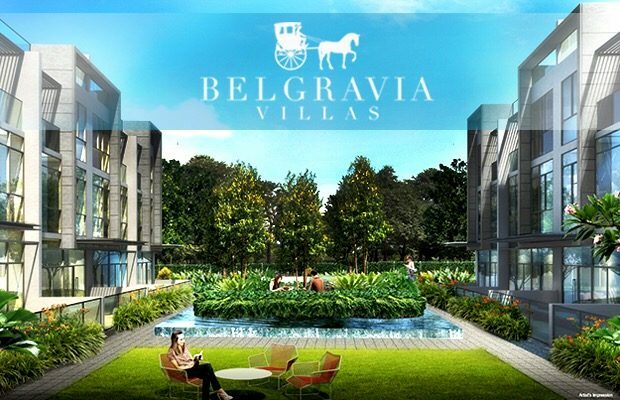 Belgravia Villas in 2.5 minutes!